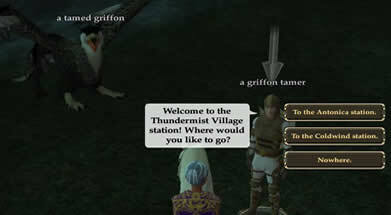 The Griffin Tamer the Thundering Steppes told me I could find some eggs in the west area. There are some flying Griffins southwest so I thought that I may find some eggs among them. It took me days to actually find some and it seems I'm not the only one that took that long. sure why this is. Maybe they need to be incubated right away when taken from there nest.